Can Americans go to North Korea? I'm from the US and would like to know if Americans can travel to North Korea. 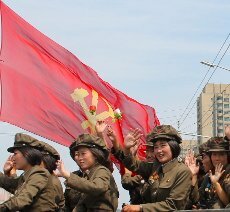 If US citizens can go to the DPRK are there any restrictions or special rules? Comments for Can Americans go to North Korea? As you probably know, the US set a travel ban some months ago for its citizens. It is currently not possible for Americans to travel to North Korea. We will keep you updated if there are any changes regarding this policy! Hi, you will have two guides with you during your trip. You cannot wander around by yourself if going as a tourist. We will send you a briefing beforehand and go over this with you in order to make sure that you understand how one is expected to behave in North Korea when travelling. We feel that travelling to the DPRK is safe for citizens from all countries. 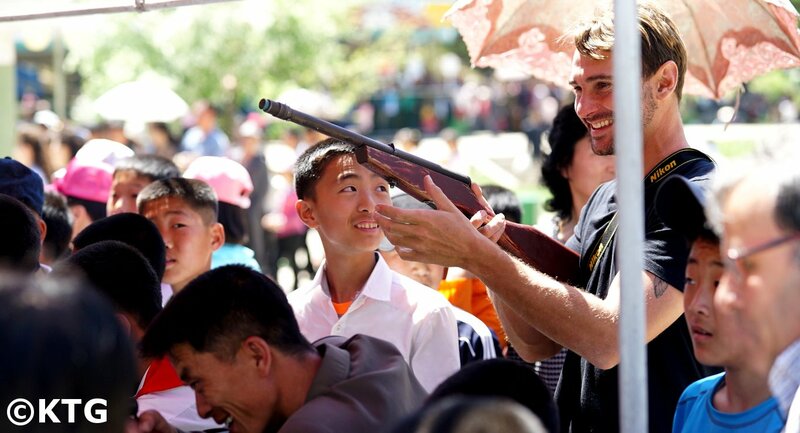 We have been arranging tours for westerners since 2008 and have not had a single incident. We recommend travellers to always check with their ministry of foreign affairs or state deparment if unsure about safety when travelling to the DPRK. So is it also safe for australians to fly into pyongyang for 4 days?,do i need a guide while iam there or am completely safe to walk around? Thank you for your message. There will be no restriction for you as a South American in terms of how to enter and exit North Korea. Currently, US citizens are cannot enter or leave North Korea by train, but it is fine for citizens of other countries to do so. US citizens can only fly in and out of the country. The food is different to Chinese food; it is Korean food, though we can also arrange a visit to the only pizza restaurant in North Korea, which is in Pyongyang. Tour rates include 3 meals a day and the amount served is plentiful. Regarding insurance, you need to make sure that you have your own travel insurance when in North Korea as we do not provide this. You should ask your insurance company if they cover the DPRK and any possible emergency repatriation costs. There are several insurance companies that cover the DPRK. If you may have any other questions regarding travelling in North Korea, please let us know. I´m from south America and I´m very interested in visit North Korea. How are the meals ? Are there diferents of China? How is the medical assistance for tourists in North Korea? Are insurance polices accepted for health emergencies? Yes, US citizens can go to North Korea. You can only go however when the Mass Games are on which is usually between August and October. Another "special condition" is that Americans can only fly in and out of the DPRK, ie you cannot take the train in or out of North Korea. The maximum number of nights Americans can stay in North Korea is 4 nights.